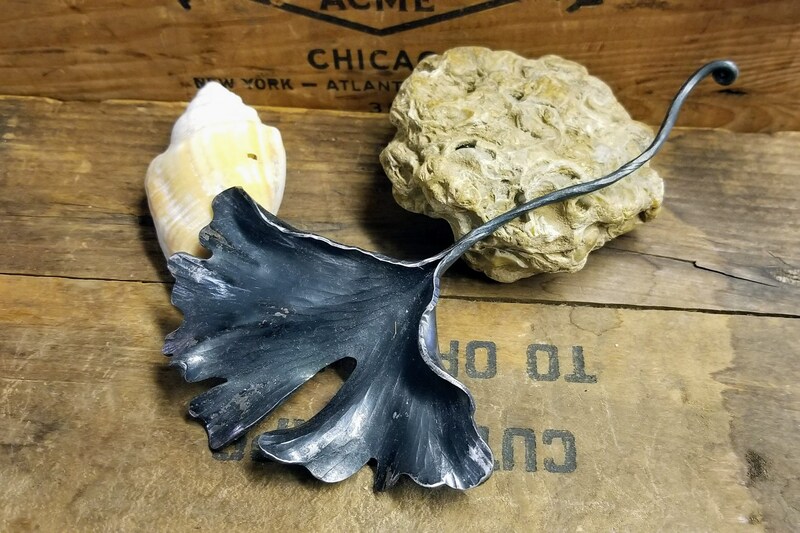 A single Ginkgo leaf, approximately 7.25 inches long, handforged from mild steel and coated with a tung oil varnish for interior use. The natural heat oxides give this leaf its black color. The silver tones are the burnished steel color. Each leaf that I sell is individually forged and finished. These look beautiful when artfully arranged on a tabletop or when hung on the wall with several small nails.